" 'You have forgotten who you are.' A line stated by the youngest person in the show, Abe, played by Justin Ahdoot, and the only one who seems to have a hold on who he is and what he wants the world to view him as; although he has no control of that. Ahdoot was very intentional with his actions and brought new energy to each scene when on stage, even when it was for a brief moment. " "As the hapless young Abe, Justin Ahdoot attracts both anger and sympathy. " 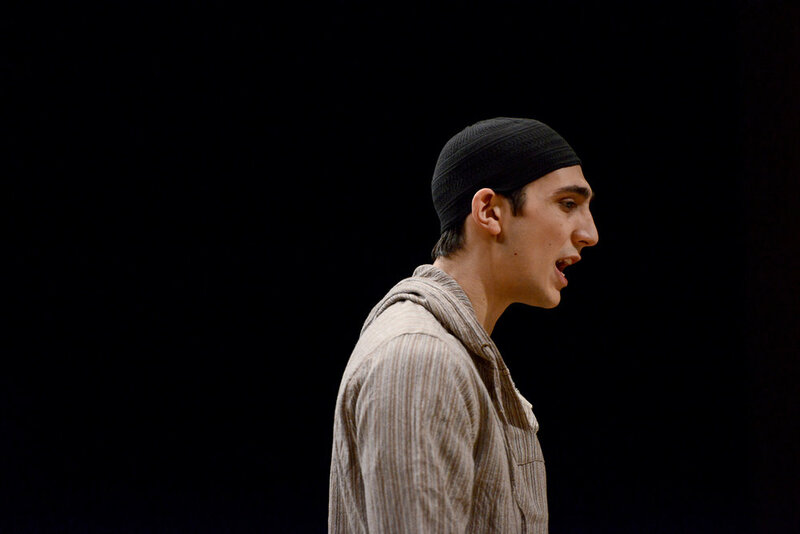 "Justin Ahdoot captures with a lot of depth the youthful energy and thoughtful character of Abe, a lad caught up in a cultural conflict that pits his life in 21st Century America against the ancient traditions he inherited from his Islamic roots."